At The Killino Firm we know the laws that govern motorcycle crashes. We employ a team of attorneys, paralegals and investigators who are knowledgeable about, and dedicated to promoting motorcycle rider safety and awareness. At The Killino Firm, we are biker friendly and serve as tireless advocates for motorcyclists who have been injured as a result of another driver’s negligence or reckless driving. We understand that our clients have suffered serious, at times catastrophic injuries, such as brain injuries, and need a law office that will deal with the insurance companies and guide them and their families through the maze of medical care and treatment that they face. The Killino Firm’s highly trained and experienced legal team has a proven track record of success in handling motorcycle crashes on both the individual and national level. Although we have recovered millions in compensation for our clients, our true accomplishment is promoting safer highways for every motorcyclist and his/her family. If you or a family member has been injured in a motorcycle accident, contact the experienced personal injury attorneys at The Killino Firm today. At The Killino Firm, we understand that injuries sustained in motorcycle crashes can be devastating. 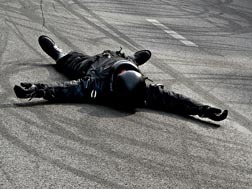 We have represented motorcycle crash victims in numerous cases and recognize the unique situations that motorcycle riders are faced with when they are on the road. Motorcycle crash victims who have suffered injuries consult with The Killino Firm, because they know that we will investigate their case thoroughly so that they will receive all of the compensation they are entitled to. Investigate every aspect of the motorcycle accident in order to discover not only what happened, but why. Use cutting edge technology to evaluate every option until we determine who was responsible. Proceed aggressively so that our clients receive all of the compensation they are entitled to. According to the U.S. Department of Transportation’s Federal Motor Carrier Safety Administration (FMCSA), in 2003 almost 3,600 motorcycle riders died in motorcycle crashes. That represents a 70 percent increase over the number of motorcycle rider fatalities that occurred in 1997. Many more motorcycle riders suffer serious injuries each year. Severe physical pain and hardship while recovering from motorcycle crashes. 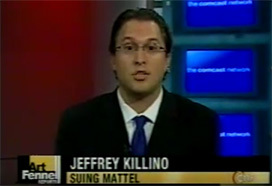 When you need a lawyer who will exhaustively investigate your motorcycle crash and make sure that every responsible party is held accountable, contact The Killino Firm, where Keeping America Safe is our primary goal. To speak with one of our attorneys, call us toll free at 877-875-2927, or email a accident lawyer here. We will respond promptly to your inquiry so that you can experience The Killino Firm Difference.